– The home team has won every game in the final so far. Will it continue? – Sidney Crosby and P.K. 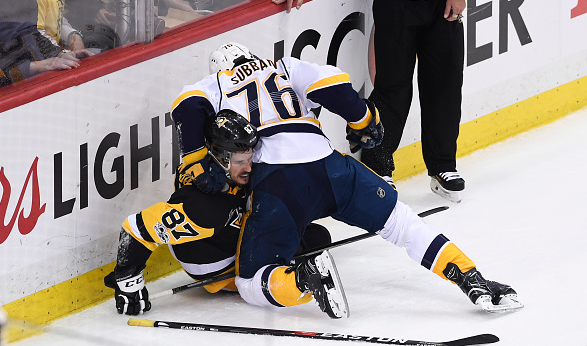 Subban got into a wrestling match in Game 5. Was the punishment sufficient? – Who will win the Stanley Cup? – Shayne Gostisbehere has a new 6 year contract. What does the future look like for the Philadelphia Flyers? – The Chicago Blackhawks are rumored to be moving a core piece, such as Brent Seabrook. Is the end near for the Hawks? – Bob Boughner will be the coach in Florida. Why? – The Competition Committee has proposed new rule changes. Are they good?